It was in 1966 and I was looking for that Danelectro sound again. I tried everybodys strings but the E and the As just didnt work. It was the same with Rotosound but there was something about them that was almost there but not quite. To solve the problem I got in touch with James How and told him his D and G strings were great but the E and A didnt vibrate properly. 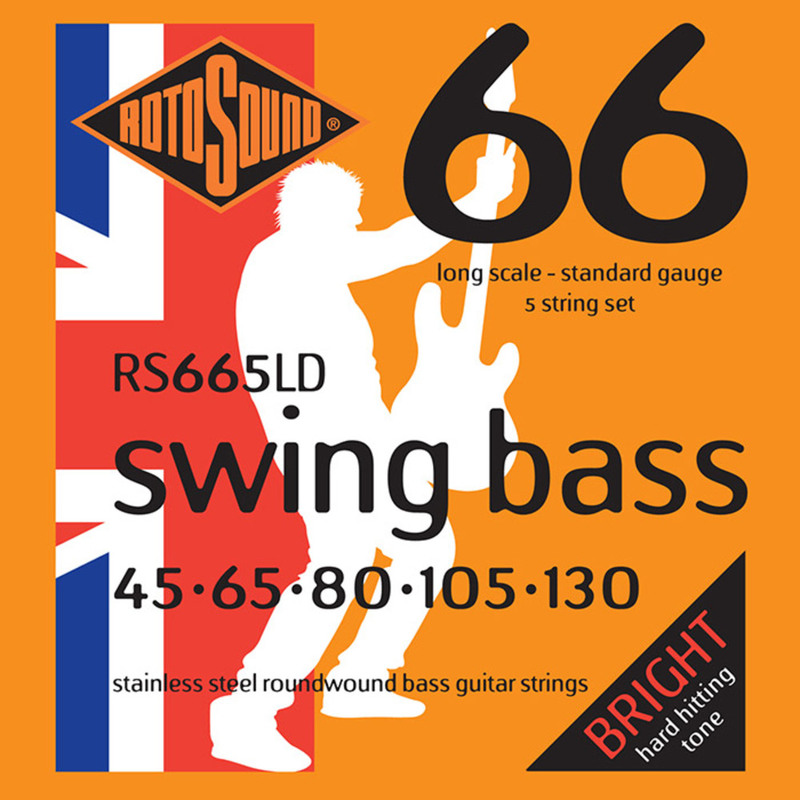 He told me to take my bass along to Rotosound and have some strings made until they got it right. After a couple of hours, we realised that the problem wasnt in the wire winding, but in the core of the string. You could see that the strings vibrated in a big circle and that was wrong; the core needed to be thicker. We also made the overall gauges a bit heavier and they sent me away with 12 sets to use. A couple of days later they called and asked if I objected to them putting my name to the strings and selling them commercially. I told them I didnt mind as long as they kept me supplied with free strings! But then we had to do the same with medium and short scale strings because I had loads of different basses by then. Those strings, the RS 66 sets, were the first that vibrated properly other than the Danelectros.